If you’re concerned about your privacy while online we have some tips for you! There are 3 main issues that must be covered, your operating system, your web browser and your search engine. It has just been revealed that Microsoft (via windows and outlook) has been handing information to the US’s NSA (National Security Agency). To read more click here. So why not give Linux a try? It’s legally free and versions like Ubuntu are user friendly. Tor is king when it comes to anonymity Online. It operates using the familiar Mozilla Firefox browser but has been customised and tweaked to keep you anonymous! Tor has been around since 2002 but still remains widely unknown. Like google but want to know your information isn’t being passed on without your consent? Try StartPage, it”s been around since 2009 and is run by Ixquick, part of a Dutch company. This entry was posted in Computing and tagged anonymity, current-events, internet, Linux, mozilla firefox browser, national security agency, news, NSA, online privacy, politics, startpage, technology, Tor, Tor browser, Ubuntu on 11/07/2013 by Leon J Williams. 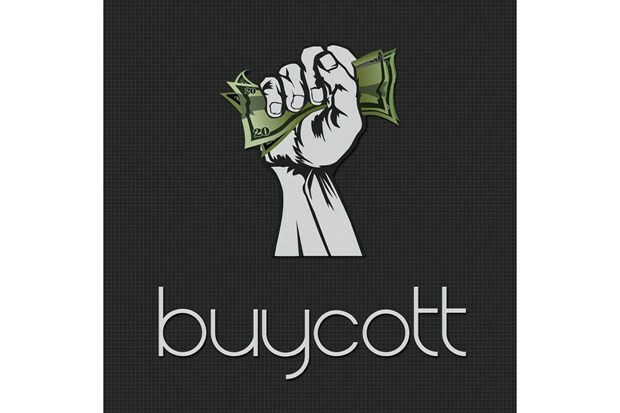 This entry was posted in Economy/Finance and tagged app, boycott, Buycott, Buycott app, ethical consumer, technology on 22/05/2013 by Leon J Williams. The European Union (EU) has ordered Microsoft to pay £484m for failing to allow consumers a choice in web browsers. Back in 2004 Microsoft was fined £381m for the same reason after which Microsoft did start to offer consumers a choice but this web browser option screen was dropped following a Windows 7 update in February 2011. Microsoft said that this was due to a technical error but the European Commission dismissed this and is no doubt using this opportunity to make an example of Microsoft so that no other company thinks that it can get away with not implementing fair anti-monopoly regulations. This move can only be seen as a good thing, shoring up EU funds and and allowing other, smaller businesses an opportunity to thrive. Supporters of Capitalism say that it creates competition and they criticise Socialism for stifling competition but alas closer to the truth is that Capitalism destroys competition by creating monopolies, companies buy other companies and put their products first. It is regulation that stops this, it is government intervention. 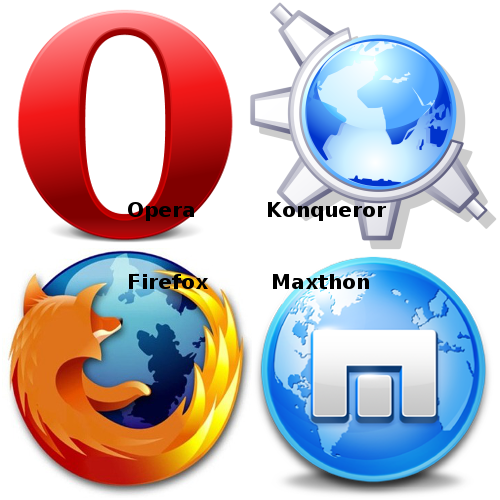 Towards the end of last year we wrote about web browsers here. This entry was posted in Computing, European Union and tagged anti-monopoly, business, Capitalism, choice, competition, economy, EU, European Commission, European Union, fine, firefox, government intervention, internet, Maxthon, Microsoft, mozilla, news, opera, option screen, politics, regulations, Socialism, technology, web browsers, Windows on 06/03/2013 by Leon J Williams. 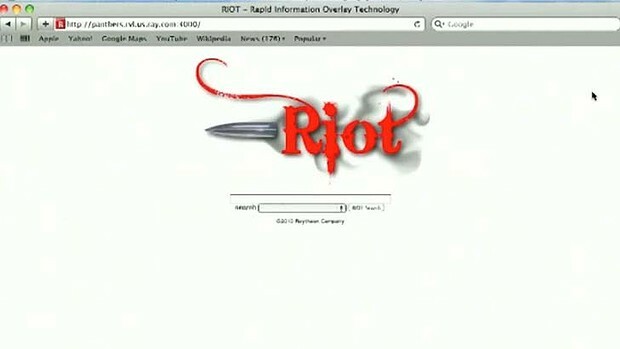 The Guardian is reporting about website surveillance software called RIOT developed by Raytheon for the US military. The “extreme-scale analytics” system created by Raytheon, the world’s fifth largest defence contractor, can gather vast amounts of information about people from websites including Facebook, Twitter and Foursquare. For the full story from the Guardian click here. This entry was posted in Daily headlines, USA and tagged civil liberties, Facebook, Foursquare, internet, military defence, news, online privacy, politics, Raytheon, RIOT software, surveillance, surveillance software, technology on 11/02/2013 by Leon J Williams. It will come as no surprise that Bill Gates’ children are not allowed to own Apple products, probably through fear of their children realising how crap their fathers products are though they put it down to not wanting to encourage the competition. Windows operating systems still dominate the desktop market share with about 90%, Apple is in second with nearly 7% and Linux in third with 1.25%. Apple wins the tablet and mobile ratings with 41% and Unix winning the Server ratings with 60%. ACA The Underground in 2007 was made using Linux SuSe (free edition) to produce the printed version, these days with the wordpress online version we’re using Linux Ubuntu. Linux is free, the software is free, the tech support is free, specialists and hobbyists work together to make the systems stay free. A kind of by the people, for the people approach. This entry was posted in Computing and tagged advantages & disadvantages, Android, apple, Bill Gates, desktop, Linux, market share, Microsoft, mobile, open source, operating systems, server, SuSe, tablet, technology, Ubuntu, Windows on 29/12/2012 by Leon J Williams. This entry was posted in Computing and tagged 2012, apple, apple safari, browser, chrome, Europe, explorer, firefox, google, IE, internet, market share, mozilla, mozilla firefox, opera, safari, technology, Web, web browser, web browsers on 24/12/2012 by Leon J Williams.